Gusset Leather is a small leathercreaft operation located in the Hamilton, Ontario area. Gusset Leather specializes in crafting unique, durable, completely handmade leather products. Our goal is to design products that improve with age and work to reflect the character of the wearer. "My appreciation for leather began in Hamilton, Ontario when I come across a local leather supply retailer, Tundra Leather. 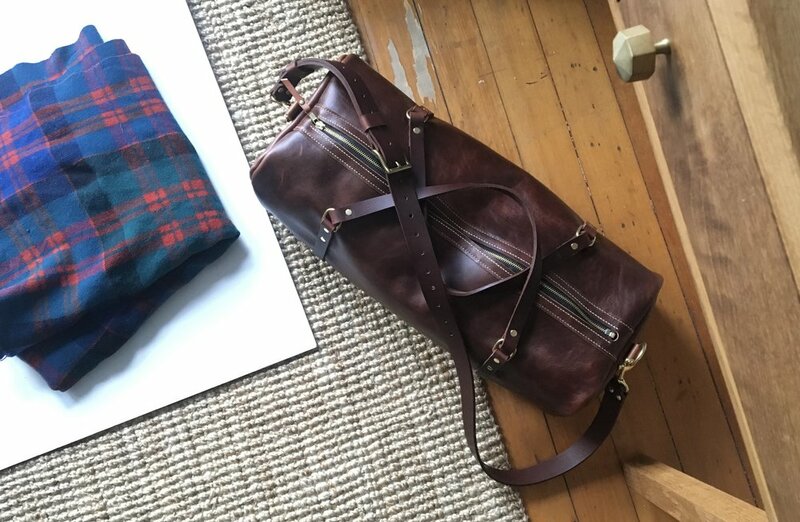 I made my first messenger bag in the first year of my undergrad and spent a few years doing bag requests for friends and family. In the Fall of 2014, Gusset Leather made it's debut appearance at SuperCrawl in Hamilton, Ontario. I took the name from the technical term for the part of a messenger bag spanning the side between the flap and back of the bag - the 'gusset'. Since the vast majority of my work involves making purses, bags, and satchels, the name seemed fitting. Today, Gusset Leather seeks to create unique, durable, aesthetically brilliant handmade pieces."